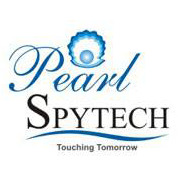 Pearl Spytech - a Pearl Group has emerged as a dominant force in the Jaipur Real Estate sector. Trusted over 18 years with sound reputation for delivering maximum value for money and known for the best quality in the properties developed by them in the jaipur real estate sector. The Pearl Spytech has established its efficiency in over 23 projects comprising of 5 projects under development and 16 completed projects. These include Residential Flats, Group Housing, Integrated Township, and Commercial Complexes in Jaipur real estate sector.